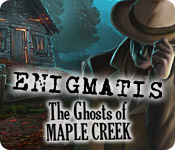 Enigmatis: The Ghosts of Maple Creek is rated 4.4 out of 5 by 126. Rated 5 out of 5 by JulzCat from Still A Great Game After All These Years This was one of the first HOGs that I ever played, and I STILL enjoy it after all these years. I love the evidence board where you put all the clues into categories, and the autumn atmosphere of Maple Creek is enchanting. A great beginning to a great series! Rated 5 out of 5 by edibleedna from Enigmatis: The Ghost of Maple Creek Loved the game, at one point I got stuck on the rock with the codes, asked for help, not correct, but that got me thinking to use the map and found my answer, by elimination. Great graphics. Way to short of a game but excellent. Rated 5 out of 5 by Fatalita from Oldie but goodie This game is one of the first HOG games I have ever played and it is definitely a great introduction into the genre. Enigmatis has a wonderful story and the graphics for the time and even now have a nice creepy edge to them. I love the sequel to the game and I wish they would come out with another since this developer is obviously doing something right! Great game with good puzzles and a evidence board that provides a cool challenge. 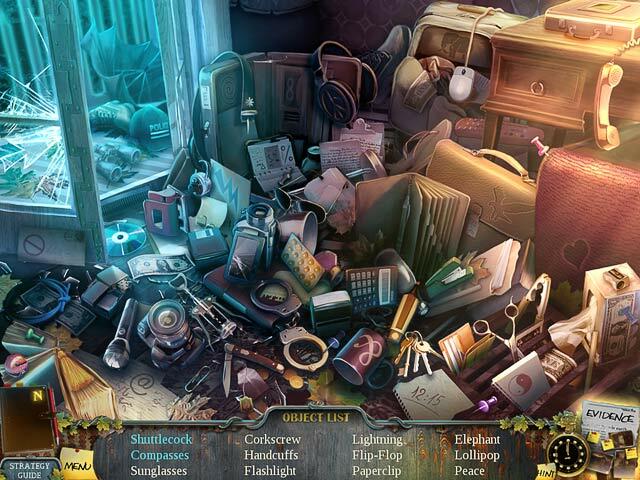 Rated 5 out of 5 by adeepdeepsleep from My favorite hidden object game This game is quite enjoyable. It is challenging, but easy enough to navigate without having to look at a walk through. I love the story line. It is the most interesting one I have seen on one of these games. Now I need a new game! Rated 5 out of 5 by kerith90angel from Enigmatis 1- The ghosts of Maple Creek... LOVED THIS GAME ********based on full se and bonus gameplay*********** I initially reviewed the CE in 2011. I actually love these games so much I keep notes as I'm playing.... The intro. cut scene is great. Quickly you find out you are in a haunted town of Vermont, and its beautiful autumn. You come upon a covered bridge that actually reminds me of one in Stowe VT called, Emily's bridge, which is haunted in real life. I included in my notes, that games similar to this-- from that time period-- are: 1. Dark Dimensions City of Fog- also set in autumn--and 2. Voodoo Whisperer, Curse of a Legend The bonus play includes you, the detective, are searching for Emily!! I paid the $13.99 after the demo and bought this game when it was first out full price and I've notated how happy I was I did.... it has an 11 page bonus section game play in the CE edition that is really worth it. So. for any of you, that are like me, and loved a game, and wonder if its worth a replay as CE..... this one is definitely one you want all of. The second in this series is also wonderful, Mists of Ravenhood. You play in a big camp-like park in that game also a blast. Thank you Artifax Mundi! I have always been a huge fan! Rated 5 out of 5 by Lucy110404 from One of my all time favourites Played this game also multiple times. I found the atmosphere overwhelming. I love it, dusty ways, with not much on it. Here are grazy ways also to move on: To get to the other side of the town or village, you have to enter the balcony of a special house, let yourself down with the help of a rope and so on, and again and again. No transporting map. Weird but gut. Really good game. Rated 5 out of 5 by smilingsun72 from Captivating creepy mystery that brings past together with present! (SE) This is a great mystery story! The scenes and music are well done. I enjoyed collecting the evidence and watching as the detective's memory returned. There was couple of scenes when I was caught off guard because of encountering something creepy. But other than that my attention stayed focused all the way through. 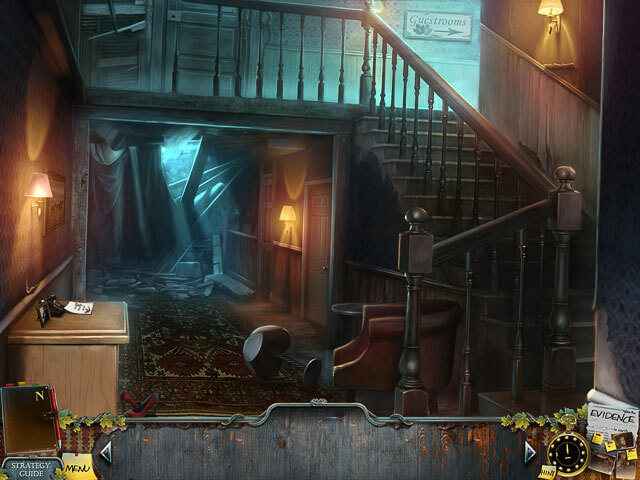 Rated 5 out of 5 by pennmom36 from Enigmatis: The Ghosts of Maple Creek SE I loved the first Enigmatis so much that decided to purchase this game in the Collectors Edition. In my opinion, this game is the better value unless you must have the built in strategy guide, however, the hint system is really good. You play the role of a detective (once again) investigating the case of a missing girl in the sleepy little town of Maple Creek, when a tornado rips through the town. You are unharmed, but your memory is still fuzzy, leaving you no choice but to piece the evidence back together, and the evidence is really quite staggering. Turns out there have been multiple missing persons reports dating back over the past 80 years! Something or someone is controlling the citizens of Maple Creek, and turning them into zombie like creatures, mesmerized by the tolling bells of a church steeple. Will you be able to solve this paranormal case, and bring back the missing child, or Maple Creek mesmerize you as well? As you re-collect the evidence the tornado has spewn about Maple Creek, you will use your Motel wall as a makeshift Evidence Board. 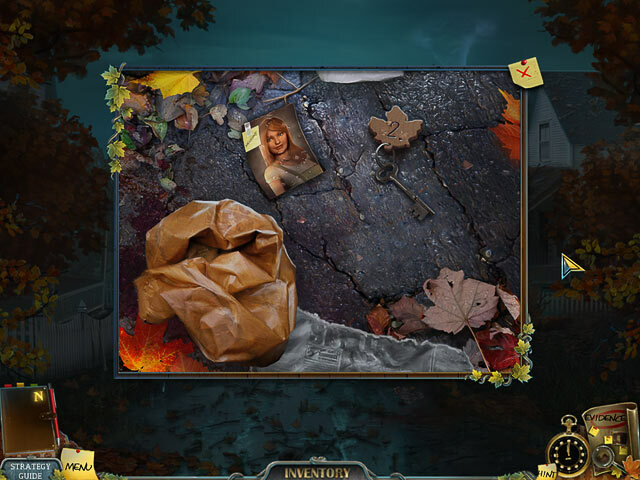 After sorting through the paperwork, and placing the collected evidence in the correct spots, you will be able to make a deduction about that particular scenario, and eventually solve the case. There aren't a lot of frills with this game, but for an older game, the graphics are decent and doesn't seem "dated" like some games you re-visit. The Hidden Object Scenes are all Listed word finds, with slight interactions where you click on an item to open it up, which exposes the object needed. All of the HO scenes are repeated once, which is a feature I really don't like because the items are too easy to find a second time around and it's boring. The Mini Games are fun, mostly comprised of puzzle tikes, swapping tiles or rotating tiles to complete a picture. The Collectors Edition has Concept Art, Wallpapers, re-playable Hidden Object Scenes, Videos, a built in Strategy Guide and a Bonus Adventure, enjoy! Rated 5 out of 5 by redeyeflight from OMG what a great game This has got to be one of the best games I've played in a long time. Great story line. Over all it's an excellent game. You won't be sorry you bought it. Rated 5 out of 5 by MisterBear from I am so impressed! I was curious to see if this game would really match the super ratings its been given. It does, in spades! Lovely long game. The evidence wall is new and rather useful/interesting. The storyline is great. Warning: it has a cliff hanger "to be continued" ending. That was fine with me, it got me to play the sequel, which is equally great. What a find!